Home » Travel » runDisney » We’re Going to runDisney! What were we thinking??? We’re Going to runDisney! What were we thinking??? It’s Marathon Weekend at Walt Disney World, and among the thousands of runners descending upon the resort are these two under-prepared, and somewhat nervous newbies to the experience! I got swept up in all the hype over Marathon Weekend last year because I actually knew a few Dis Dads that were running. It turned into a Dis Dads Convention, full of bacon and Dole Whips and lots of fun. If there was going to be another one, I wanted in! It’s not easy for us to vacation in January, given that Lisa is a teacher, but when I proposed going, she was intrigued at going to Disney near her birthday, and she told me “If you run, we can go.” I took that as permission to start training and booked our room for the weekend. 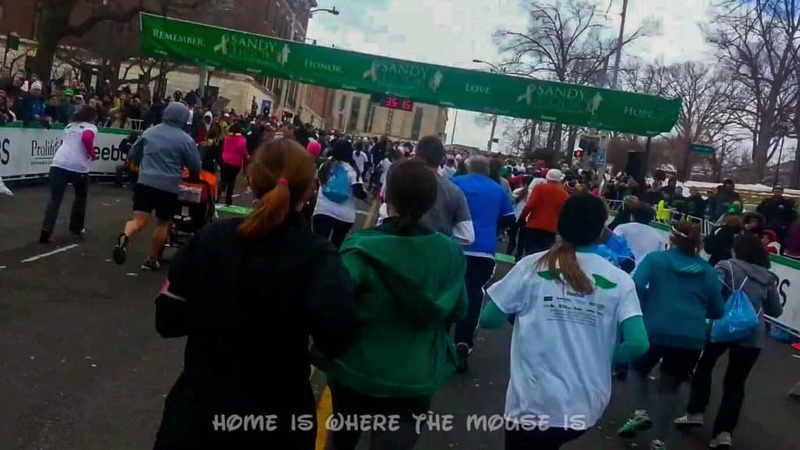 In March, I ran my first official race, a charity 5K race in honor of the families of Sandy Hook Elementary School in Newtown, CT. It was a great experience. It was a milestone in my training for runDisney, it was for a great cause, and I got to meet several great guys from the Dis Dads who also attended. Unfortunately, my knee gave out on the final stretch and I would need to have surgery the following month. During my recovery, registration opened for Marathon Weekend. I lowered my aspirations and set my sights on the Half Marathon. We wanted to also sign the whole family up for the Family Fun 5k, but with no more stroller division, it wasn’t feasible. Lisa still signed up for the 5K, and we signed Jackson up for the 100 meter dash and Bella for the Mickey Mile. By the summer, I had recovered from my surgery, and was ready to resume my training after we returned from our Disney vacation. 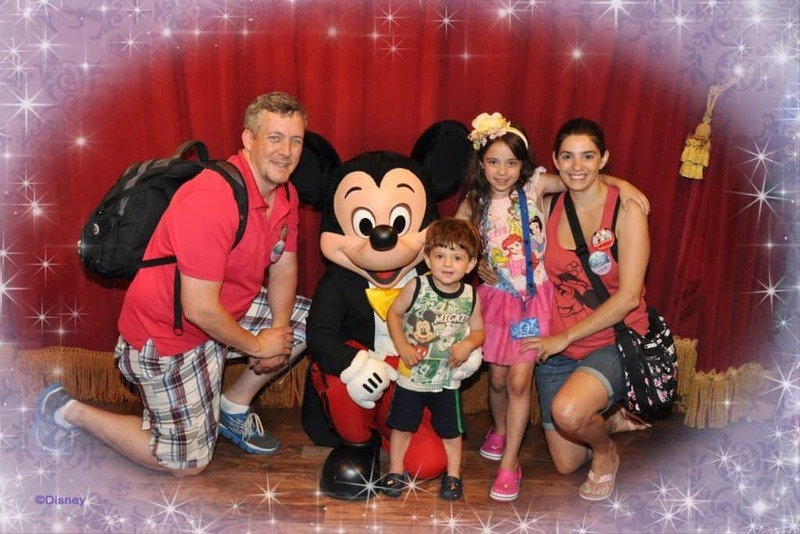 Our 2013 trip to Disney!! 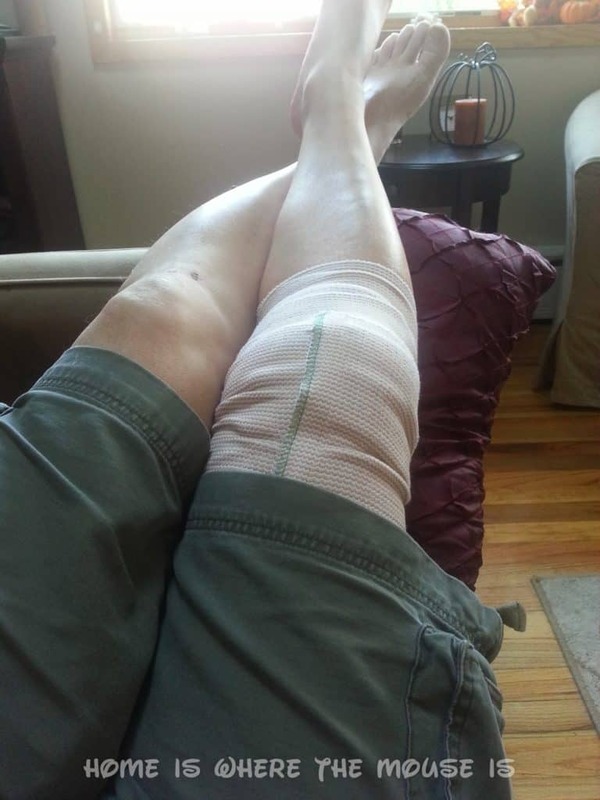 In August, my knee said no to running and swelled up again… I would need a second surgery in October, and 8 more weeks to recover. 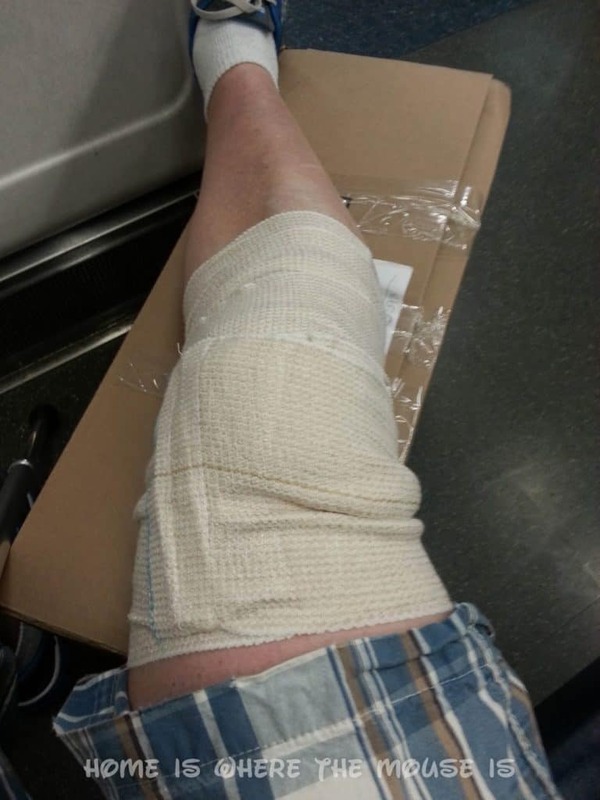 The second surgery also found that my knee would never be 100%, and that I’d have to manage the pain and discomfort going forward. In that respect, getting older stinks! I haven’t been able to train as much as I wanted, and now my goal is simply to cross the finish line. I’ll be doing more of a mix of running and walking as opposed to the original plan of running the whole race. I can’t help but be concerned about how my knee will hold up. The longest run/walk I’ve managed up to this point has been 8.5 miles. 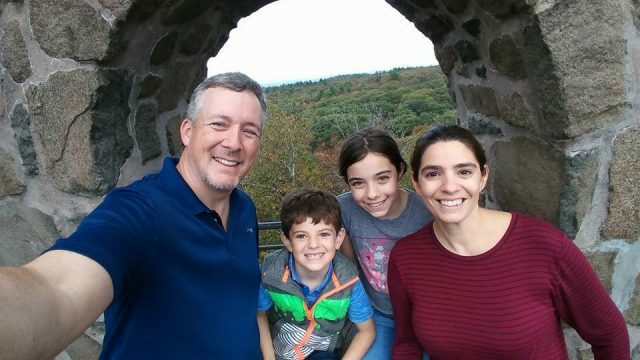 The fact that the whole family could not run together in the 5K was definitely a blow to Lisa’s spirits, but she still committed herself and impressed me by getting out there and running. Unlike me, she doesn’t have a history of competing in sports, so she is totally brand new to the concept. I think my setbacks have understandably also affected her motivation and it’s been more difficult to find time in a busy schedule and the colder weather to keep at it. But I think the biggest obstacle for Lisa is herself. I get the sense from her that she doesn’t think she fits in, that she’s not a “runner”. But I think that’s why runDisney is such a perfect fit for her. It’s not about whether or not she can physically do it. She proved that by getting out there and running around our neighborhood. I hope she’ll see that running brings together people from all walks of life, in all shapes and sizes and abilities. I hope the magic of running in Disney will ease her doubts, and she won’t feel so alone out there. I know she’d feel better if we could have done it together, but Bella, Jackson, and I will be there to cheer her on, and I know you will all be cheering her on too! Well, you’ll have to stay tuned for that. It will be a short, but very unique trip for us. We’ve got our runs and plans to celebrate both Bella and Lisa’s birthdays while we’re there! Be sure to follow along on twitter, facebook, and instagram! It should be a magical weekend… And hopefully we’ll all come back with some bling to show off! 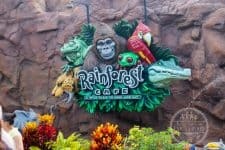 Have any of you ever run at Disney event?? We’d love to hear about it!! Leave your stories, tips and words of encouragement in the comments!! Oh my gosh, this speaks to me! I'm "not a runner" either (hated it when I was younger) and my goal is to do the Half Marathon this year! This encourages me and I'll be following along to see how things go. Thank you and have fun! Thanks, Heather! Good Luck with the Half!! James, I'm so sorry to read about your knee, but I hope you are able to follow some of the runDisney activities, TAKE IT EASY BEFORE your half; don't do the usual park mileage!! You and Lisa can do this, and once you see that the majority of folks out there do not look like "runners" you will be able to relax and enjoy. I wish you two all the best!!! Thank you. I'm hoping once Lisa gets out there that she'll get swept up in the excitement and not worry. For me, I'm hoping to not get too swept up in the excitement and forget to take it easy. 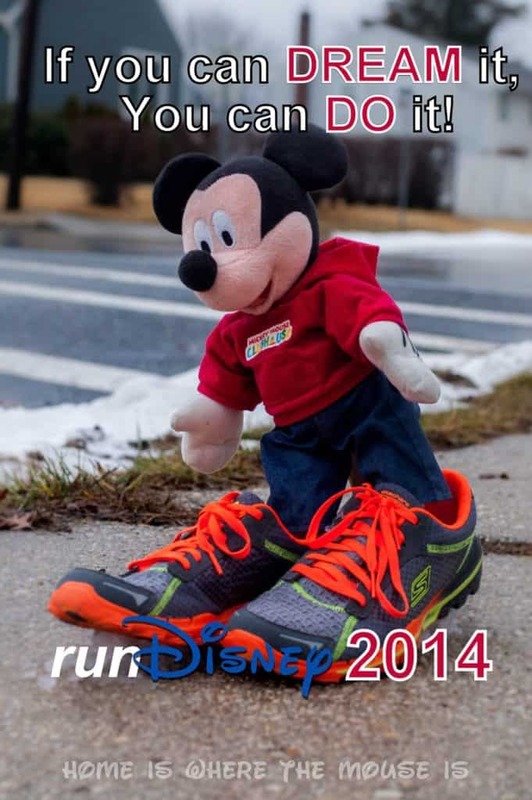 runDisney is for EVERYONE! There are people of all shapes, sizes, & ages out there. Running, walking, it doesn't matter. It's fun and my fave part of runD events is that 99% of the people you meet out on the course are so encouraging and friendly! Good luck with the knee issues; don't feel bad about walking when you need to! Thanks, Amy! That was such a misconception I had back in the beginning, that you had to "run" the whole way. I'm much more comfortable with mixing it up and walking. At this point, I just need to run enough to keep me ahead of the sweepers! My best friend in law is off to runDisney this year. The family left today. He plans to "do the Dopey!" I mostly think he is crazy, but he's really looking forward to it. The Dopey is insane!! 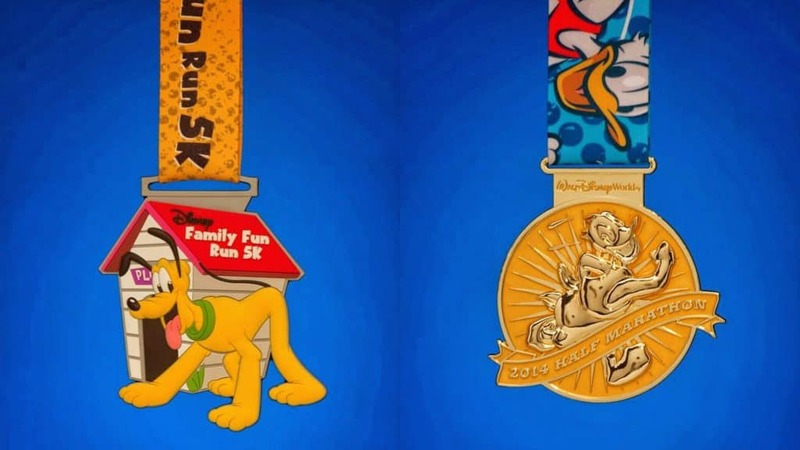 But I hope to someday do a full marathon… and then who knows, maybe I'll get Goofy or Dopey too!! (Just not this year!) Thanks for the comment!! I'm the world's least athletic person and I hate running (in fact, I need to post about it on my blog for the challenge also!) but I'm so tempted to try runDisney! Good luck to you! I'm just proud that you're still going after your setbacks this past year! Getting old does stink!! I hate to hear about your knee. However, I ran/ walked the full with stress fractures in both shins several years ago and was able to finish! I know you can do it!! !